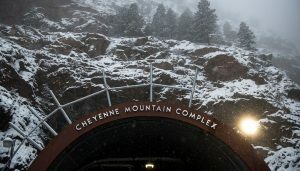 As described in the previous post (see http://prayatlunch.us/every-part-matters/), June 1980 saw a near nuclear catastrophe because of the failure of a small, simple, single 46-cent part in the American early warning missile detection system. The billion dollar advanced capabilities of the United States were rendered useless and actually counterproductive because of this malfunctioning miniscule computer chip. The tiniest of deviations corrupted the entire system. We are very quick to lament the state of the world around us. We rapidly recognize the flaws of others and dismiss those flaws in our own lives. We see the subtly placed mote in the eyes of our neighbors and neglect the glaring beam that is grossly protruding from our own eye. We forget that even if our own faults are mote-sized, they have a significant impact on our effectiveness. We forget that the tiniest of deviations can corrupt the entire system. Both the mote and the beam are harmful to the cause of Christ in America. Our complacency about our own faults (even if they appear to be 46-cent faults), the hypocrisy in our skewed perspective and our judgmental attitude about the faults of others (even if they appear to be billion dollar faults) diminish the ability of our body to truly impact our world in the way intended by our Savior. PLEASE PRAY FOR AMERICAN CHRISTIANS TO FIRST WORK ON RESOLVING OUR OWN FAULTS BEFORE ENGAGING IN THE FAULTS OF OTHERS. May we never forget that deviations in our own lives (small or large) can corrupt the entire system.